The Chinese tiger is awake and about to topple the roadblocks that stopped it from unleashing the power of the Yuan on the world. That’s only to be expected after a US President has public temper tantrums, and calls them his foreign strategies. There’s never been doubt that China is an economic super-power. Economist John Malkin of the American Institute for Public Policy has calculated that by 2010, China was responsible for a third of global growth and is currently the largest and most rapidly growing holder of foreign exchange reserves. Yet the Yuan never managed to be a widely used international medium of exchange. Despite China’s progress towards the liberalization of its markets, its unbalanced economic policies made global markets uneasy. And then along came Trump. Given the role that stability places in currency dominance, there’s every reason to believe that the Chinese Yuan will be re-envisioned as a safe bet. Let’s take a second look at the obstacles that have inhibited the Yuan from bridging the gap between economic and financial super-power. These are free outflows of capital, full-fledged convertibility of the Yuan, and China’s preference for maintaining a competitive exchange rate. 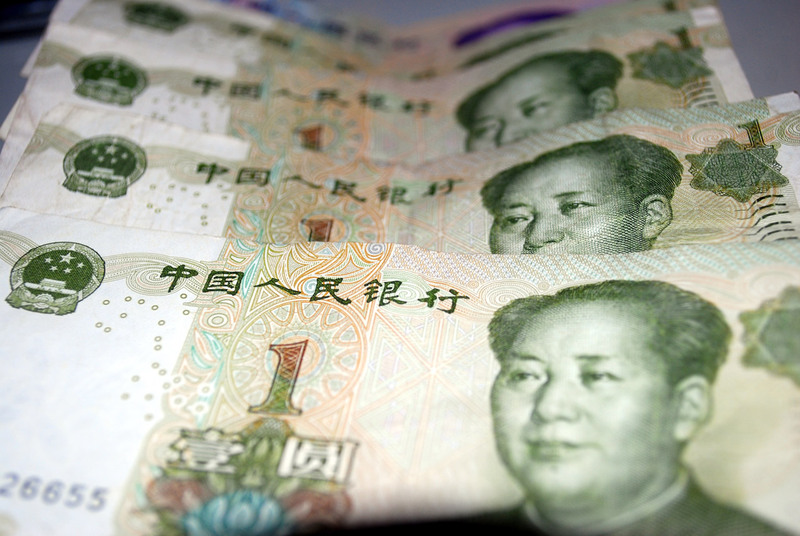 All combined to limit the Yuan ability to be circulated as a global reserve currency. Then the unthinkable occurred on December 2. President-Elect Trump accepted a congratulatory call from Taiwan’s President Tsai Ing-wen and tweeted about it. China reacted by giving The Donald a stern warning that America support for the One China policy is a non-negotiable. Trump tweeted in response, defiantly. Trump has since hastily backtracked and recognized the One China policy. However, Taiwan still seeks to strengthen ties with the United States. The continued appreciation of the USD by the Chinese now lies in the balance of 140 characters. Yes, China does still face the hurdle of attaining full convertibility but this aim is becoming a much smaller leap for the nation. The issue of full convertibility could be remedied by stopping stringent controls on private flows of capital. Lo and behold, in October of 2016, greater inroads towards increased convertibility have been made as China has become an official member of the International Monetary Fund’s basket of Special Drawing Rights. Special Drawing Rights, known as SDRs, are a global reserve asset whose value is pegged to a basket of what used to be the four major international currencies, the US dollar, the Europe, the Yen and the British Pound. And now that basket also includes the Chinese Yuan. China’s participation in the IMF’s currency basket is forcing Chinese market liberalization and neatly makes room for the Yuan to take the stage as a key international currency reserve. There is no doubt that external pressures to pry the Chinese market open are in place. China is currently flirting with greater market freedoms with the establishment of a free-trade zone in Shanghai. China’s budding relationship with free trade is one which a politically, economically and socially divided America should be extremely wary of. China may no longer rely on a forced competitive exchange rate, which could shift its policy away from appreciating the USD, especially if Sino-American relations turn sour. The question is not whether Yuan can rival the US dollar’s preeminence, but whether China will fully commit to market liberalization. And will the international community embrace a trade partnership detached from the dollar? In the wake of the 2008 US and European debt crises, the predominance of the USD as a global reserve currency and the euro, its runner-up, have lost much of their attractiveness. Add to the mix a hot- tempered leader prone to tantrums as US President, and the USD’s communist peer, the Yuan, is beginning to sneak up on the USD as the stronger, and safer option. [footnote] John H. Malkin, “Can China’s Currency Go Global?” American Enterprise Institute for Public Policy, 2011, 2. Andrew Moravcsik, “Taking Preferences Seriously: A Liberal Theory of International Politics,” International Organization, Vol. 51 (4), 1997, 513. [5 ]“The Yuan and the SDR, China knocks on the reserve- currency door,” The Economist, August 5th, 2015. “Clash of the Currencies.” The Economist, August 1st, 2015. 8.